That's what the bears have got. The last six weeks. Just 4 hours. Just four hours of selling pressure in this market, according to Sentimentrader.com. But every intra-day swoon, makes these pikers gasp, and any gap down opening, allows them to beat their drums! Let's look at reality. 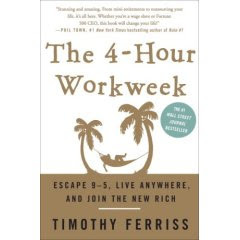 People sell a book touting a four-hour work week, but we get just four hours of selling in six weeks, and yet the Cassandras are still yapping? So why even bother? Yesterday the Euro hit its lowest level (1.33)since the bears began telling us that the a rally of the dollar would crush this market. They've been saying that since 1.52! When can someone bet against his bets? When will he put some money up, when he runs off at the mouth like that? Let's look at the facts. We buy poisoned toothpaste from China, we buy poisoned drywall from China, we buy poisoned baby food from China, and China sells poisoned milk to the world. But do we do anything? And now we are going to tell China, who holds $800 billion of our paper, that they are a currency manipulator, just because--OMG---Google redirects traffic from China to Hong Kong? Did anyone see GOOG reverse to the upside yesterday? So now the world is going to collapse around China, because one of the greatest crybaby capitalists in the world, GOOG, is pretending that they are doing no evil? Well, compared to Roubini, I guess they're not. But when will he ever admit that he's missed this entire rally, and that he's been dead wrong? When will he clean up after himself? Even "5,000 Dow" and 4% annual equity returns, Bill Gross came out on CNBC yesterday, and finally admitted that stocks now were a better buy than bonds. 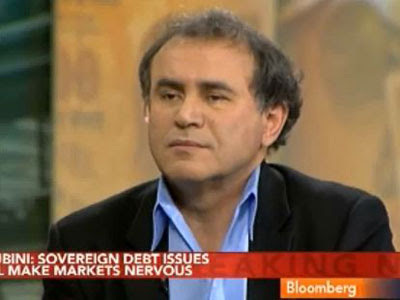 But Roubini? He gets a free pass. Not here! 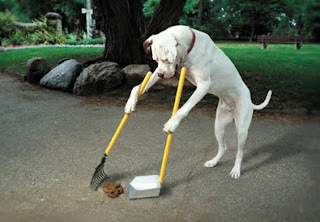 He's just full of what the dog decided to clean up! Bill Gross came out on CNBC yesterday, and finally admitted that stocks now were a better buy than bonds. you are too wrapped in your own hype to understand that this can mean that "bonds will go down a lot while stocks may go down less or tread water". "stocks are better buy than bonds" does not mean stocks have a lot of upside. "whatever" love it Palmoni...keep it up!!!! you've done a great job and he really didn't get the point of your topic. Do you think it's time to unload gold? any more updates on the columbian gold co? has been slow moving. Make that 5 hours, oh my!